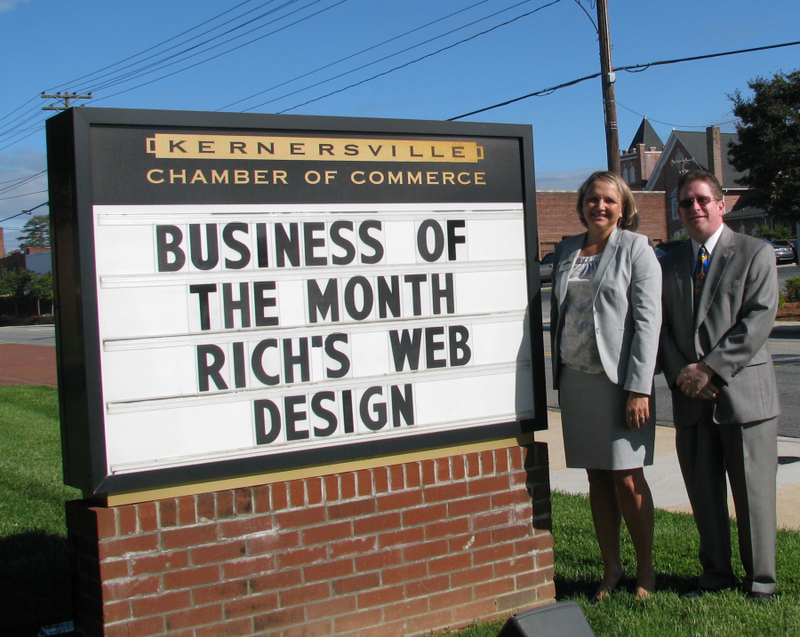 Rich’s Web Design has been named the May 2016 Business of the Month by our local Chamber of Commerce. If you are wondering about the image to the right, yes, RWD was also presented the Business of the Month back in August of 2010. 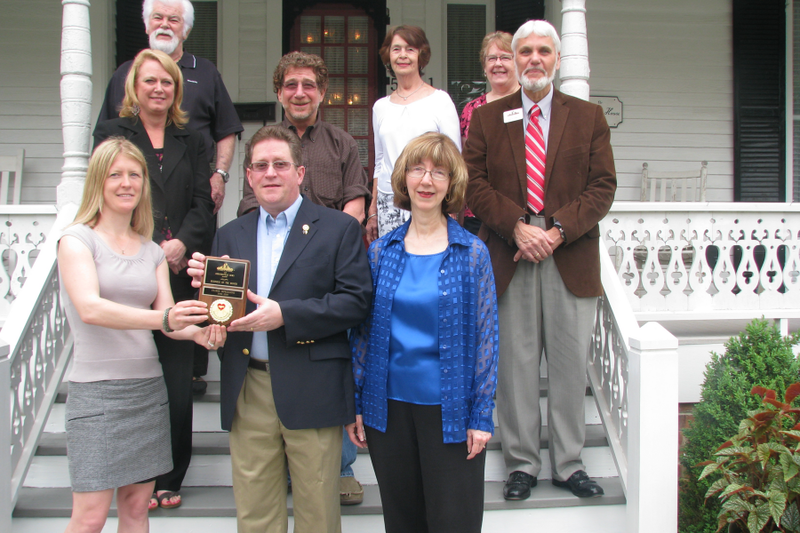 Each month the Chamber Business Affairs Committee selects a business to be recognized in the Kernersville News. 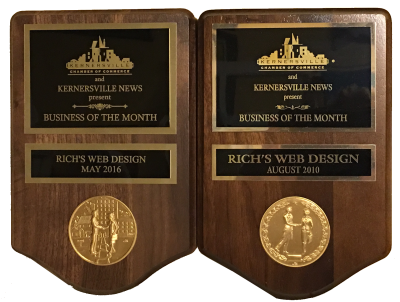 This recognition is sponsored by the Kernersville News, and includes a plaque, photo opportunity and story about the business. The committee alternates categories to select one business to be recognized. The criteria for selection is that the business must be a current member, have been a member for at least 2 years, and not received the award within the last 5 years.